NZ On Air has been supporting local content for 25 years. We were created to ensure you could see and hear New Zealanders on air. Here we take a look back at what’s changed in 25 years, and celebrate the wealth of local stories, songs and services funded for television, radio and online audiences. Read more about what's changed in 25 years. NZ On Air (officially the Broadcasting Commission) was born in 1989. Prior to 1989, broadcasting operated in a highly regulated monopoly environment. The state-owned Broadcasting Corporation of New Zealand (BCNZ) owned the only two television networks (TV One and TV2) and a majority of radio stations throughout the country. The Broadcasting licence fee contributed to some of these services. Broadcasting reforms in the 1980's brought about the establishment of NZ On Air in 1989. The dissolution of the BCNZ created the new State Owned Enterprises (SOEs) of TVNZ (TV One and TV2) and Radio New Zealand. At this time Radio New Zealand had some 34 commercial and non-commercial radio stations as well as Radio New Zealand International. There were also some privately-owned radio stations in more populated areas. In November 1989, TV3 became New Zealand's first privately owned national television network. The independent production sector was quite limited. Most television production, particularly drama and documentary, was made in-house by TVNZ. TV3 had limited in-house production resources. Community broadcasting was in its infancy. There were four access radio stations in operation – Wellington Access Radio, Plains FM (Canterbury), Auckland Access Radio, and Wairarapa Access Radio. There were no regional television stations. On commercial radio, a voluntary quota of 10% New Zealand music content had been agreed. Remember Teletext? 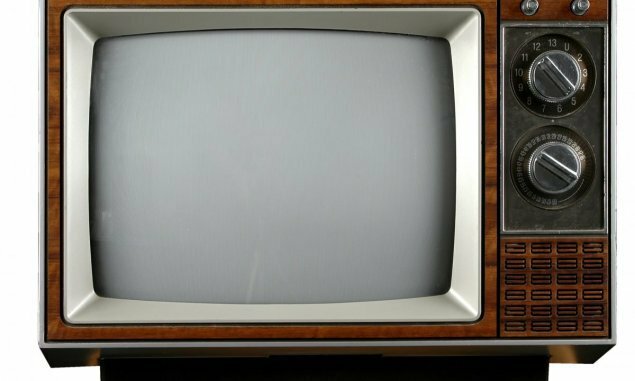 It began in February 1984 and was operated by TVNZ providing, among other things, sub-titles for viewers with impaired hearing. In 1989 New Zealand’s first international internet connection was established. The Broadcasting Standards Authority (BSA) was also established in 1989 to handle complaints from the public and monitor standards. We now have five free-to-air nationwide television networks to choose from – TVNZ, MediaWorks, Prime, Māori Television and Choice; one nationwide pay television network – Sky; a second regional pay television network – TelstraClear/Vodafone; and more than a dozen regional, ethnic or religious television channels. The independent television production sector has grown exponentially, while TVNZ has wound back its in-house production capabilities. The majority of New Zealand programmes, excluding sport, news and current affairs, are now produced by independent production companies. Radio New Zealand continues to provide public radio through Radio New Zealand National and Radio New Zealand Concert, as well as operating Radio New Zealand International. It is also moving into the digital realms, including a youth-oriented website The Wireless. It no longer owns any commercial stations. There are two major commercial radio networks – MediaWorks and NZME (previously The Radio Network) – and a host of other private, student, Pacific and access radio stations. Listeners can now tune in to radio programmes in more than 40 different languages. The industry target for New Zealand music content on commercial radio has doubled – reset by the Radio Broadcasters Association in 2006 to 20%. Online and mobile devices have proliferated. Users now enjoy a vast array of content in their own time on a myriad of devices. NZ On Air now funds ground-breaking projects for online audiences. Teletext is gone, superceded by technology. A new entity Able, fully funded by NZ On Air, provides captioning and audio description services for people with hearing and sight-impairment on a selection of mainly prime time programmes on TV One, TV2, TV3 and Four. The public no longer pays a broadcasting fee, instead NZ On Air is funded directly by Government. Watch our Chief Executive Jane Wrightson talked to NZ On Screen's Screentalk about 25 years of NZ On Air, among other things. NZ On Air-funded TV programmes have entertained and provoked, reflected our nation's identity and marked significant moments for 25 years. We invest more than $80 million a year in innovative, creative programming with a diversity of faces, stories and storytellers. From prime time drama, to children's programming, thought-provoking documentaries, comedy and special interest programmes - the essential element is these are local people and their stories. Children's programmes through the years have covered the range from drama, animation and puppets to live studio magazine style shows. One of the first children's programmes we ever funded was the New Zealand take on the classic UK drama series Black Beauty. Today there's something local on TV for kids of all ages every day of the week. From the early days of animation - remember Squirt? which pioneered the use of motion-capture technology- to today's clever and colourful pre-school offerings such as Tiki Tour, Wiki The Kiwi and puppet show The Moe Show. Many well-known New Zealanders cut their teeth in television on kids shows. Just take a look at What Now? We've been supporting the weekly show made by Whitebait TV since 1991 and today it combines online engagement with a studio-based format to delight young viewers. Important nation-building moments in our history have featured in a range of documentary one-offs and series. Everything from The New Zealand Wars, to the story of the body recovery operation on Mt Erebus in Erebus: Operation Overdue, our contribution and sacrifice in World War 1, and the sorrows and challenges of the Christchurch earthquakes. Stories of famous New Zealanders have been preserved in the likes of Bread & Roses and Hillary: A View From The Top. We've also explored issues such as rehabilitation of prisoners through song, with Songs From The Inside and put issues and decision-makers in the spotlight with shows like Q + A and The Nation. We've been spoilt for gorgeous, informative programmes featuring the natural beauty of New Zealand's landscapes and oceans. We've celebrated the diversity of New Zealand's communities. Shows like Tagata Pasifika which reflects our place as a Pacific nation and home to many Pacific peoples, and Heartland which explored communities and their unique characters. And year after year we've tuned in to find out about life down on the farm, in Country Calendar - New Zealand's longest running TV programme. Drama is an important genre for NZ On Air. Making good drama is an expensive business and it's cheaper to buy it off the shelf overseas. So if we want to see local stories its important that drama production is supported by NZ On Air. The longest running has been Shortland Street which was funded by us for the first four years. Since then it has become a commercial success and provided a launch pad for many acting, writing and directing careers. 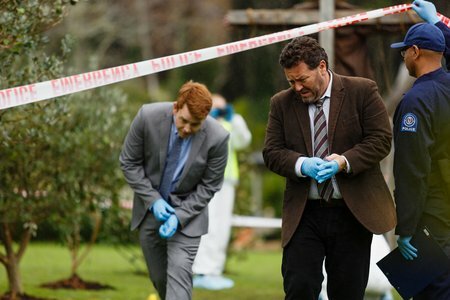 Our first funded drama was the Wellington-based cop show Shark In The Park. Check it out at NZ On Screen. And then see how it compares to a modern day cop drama - our most recently funded The Brokenwood Mysteries. New Zealand drama is unique to us. Prime time audiences have embraced series like Outrageous Fortune, The Almighty Johnsons, Go Girls and Nothing Trivial, so that they've stayed on our screens for several seasons. Meanwhile stand-out telefeatures have won awards and acclaim. Seige, Tangiwai and more recently Consent: The Louise Nicholas Story have all sympathetically dramatised important stories. The classic dry Kiwi humour has featured strongly through the years. Billy T James and the Topp Twins have been regulars on our screens. Remember Letter To Blanchy - a collaboration of some of NZ's greatest comedic writers A.K. Grant, Tom Scott and the on-screen duo McPhail and Gadsby? Today Friday nights on TV3 have become a beacon for comedy with the panel series 7 Days and skit show Jono And Ben At Ten. There are too many fantastic local programmes to mention them all here. We suggest you explore NZ On Screen. They have a special Spotlight on NZ On Air here. You can also find lots of information here on our own website about what we've funded through the years. Since 2005 NZ On Air has provided support for regional television news and information programmes. In 2015 we support programmes on nine regional stations. Regional television provides a local perspective seldom provided by national TV networks. Stand-alone regional television began to emerge in the 1990's. The longest established regional TV channel is CTV in Christchurch which began broadcasting in June 1991. Their proudly parochial coverage was never more at the heart of their community than on 22 February 2011. The CTV building collapsed in the catastrophic earthquake resulting in the deaths of 16 CTV staff. Despite losing their broadcast equipment, records and video library CTV was back on air two months later. Regional television is not only about local communities, but can also reflect a different approach from the mainstream. For example TV Central, which broadcasts in the greater Waikato region, promotes 'family safe' viewing. It is part of its mission to 're-establish strong moral boundaries and ideals back into the television industry'. And as with every area of the media, technology is changing the future. When regional television channels made the switchover from UHF to digital transmission in 2013 Te Hiku Television in Kaitaia created the first regional internet TV channel. You can find out more about your own regional television channel here. When NZ On Air began in 1989, less than 2% of the music on radio was local content. Our music funding programme began in 1991 and lifting the amount of music on radio was the clear mission. Today around 20% of music on radio is local. Funding New Zealand music radio programmes was the first step we took to support local artists and the wider music industry. Counting The Beat which began on Auckland's 91 FM was the first of these local music 'oases'. The programme profiled New Zealand music for a full hour across 14 commercial radio stations 50 times a week and quickly increased the amount of local content being broadcast on radio. Through the new radio scheme, NZ On Air was also able to support student radio, the long-running champions of Kiwi music. We funded specialist New Zealand music shows on each of the then six stations, some of which continue to be produced today such as Freak The Sheep on The University of Auckland's 95 bFM. 1991 also saw the first NZ On Air funded music video - AEIOU by Moana and the Moa Hunters. Music videos are an integral promotional tool for a song and it wasn't long before we saw increased exposure for New Zealand music through video airplay. Funding for music videos has not only contributed to the success of songs being broadcast. It supports the video-making industry and contributes opportunities for many directors and others involved in the film-making sector. In 1992, one year on, more records entered the New Zealand singles charts than in any one of the previous 20 years and there was an optimism about the future of the success of music made in New Zealand. It was evident that supporting recording and promotion together was integral to this success and the following years saw the Kiwi Hit Disc radio sampler programme launch. The Kiwi Hit Disc is how NZ On Air promotes new release local songs to radio stations so they will play them. NZ On Screen, Brendan Smyth, Music Manager talks about the challenges of getting local music on air during the '90s and the significance of the music video. NZ On Air has had the privilege of supporting some of New Zealand's most iconic artists from the beginning of their musical careers - artists like Kimbra, The Naked and Famous, Joel Little, and Brooke Fraser. Their songs have not only contributed to the significant increase in local music broadcast, but have also shown the world the talent here in New Zealand. And they've been recognised at home too. 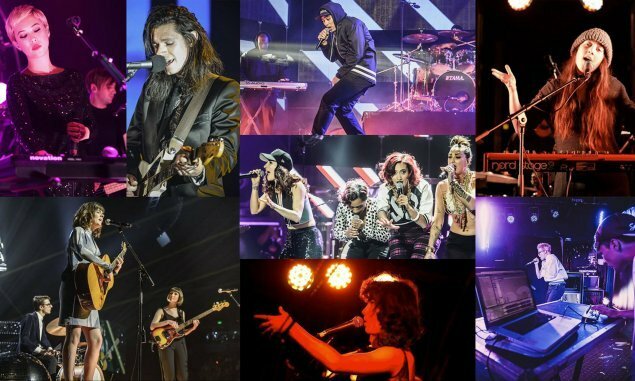 In 2014 NZ On Air-supported artists made up over 80% of the nominees for the New Zealand Music Awards. NZ On Air has an important role to play in championing the music industry. We do this as a key sponsor of the New Zealand Music Awards every year. We also support the Waiata Māori Music Awards, Pacific Music Awards, Taite Music Prize, Smokefree Rockquest and Smokefree Pacifica Beats. With the evolution of technology and the online world, 'broadcast' now not only refers to radio and television, but online platforms also. NZ On Air has been quick to embrace digital and online opportunities. Promoting New Zealand music on streaming services such as YouTube, SoundCloud and Spotify has become another priority for us as these global platforms continue to grow. 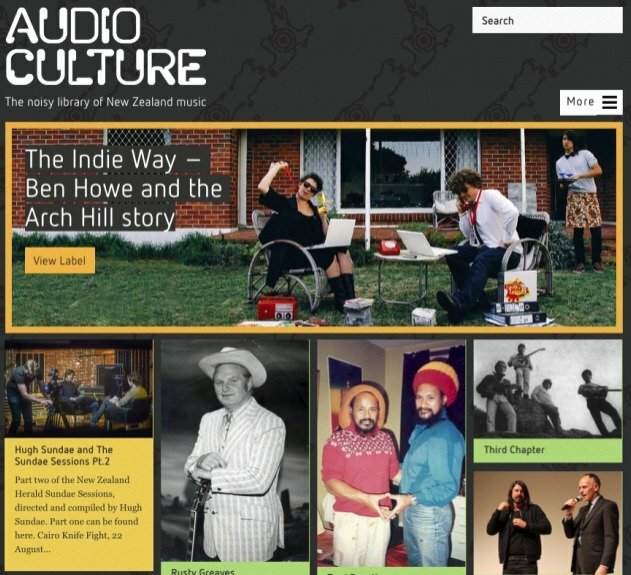 Another way we support the online discovery of music is through two websites we fund - Audioculture, which celebrates our rich musical heritage, and The Audience- a new music discovery site. They are supported through our Digital Media Fund. Over the last 25 years there has been a music revolution - anyone can now produce, release and promote their own music. It means that, for us, it’s not just about getting songs on the radio any more. It’s about multiple impressions on multiple platforms to reach the audience. So Spotify, YouTube and Soundcloud are as important to us now as ZM and The Edge. 25 years on - we have funded more than 3,200 music videos, 200+ albums, 1,600+ singles and 270 Kiwi Hit discs featuring more than 4,600 tracks. None of this would have been possible without the songwriters, musicians, recording studios, engineers, video makers, broadcasters and all those who have contributed their time, creativity and passion to locally made music. In 2015 we are fortunate to celebrate an abundance of music being created by New Zealanders. We now have close to 20% local music on our airwaves. Both commercial and alternative stations have regular Kiwi music features, showcasing the diversity of New Zealand music. And we are seeing more and more local music on online platforms. It’s still fundamentally all about great songs and it’s still about connecting with an audience. Access and Pacific radio stations provide programmes by, for and about our diverse communities. When NZ On Air was created in 1989 there were just four community Access radio stations in operation – Wellington Access Radio, Plains FM (Canterbury), Auckland Access Radio, and Wairarapa Access Radio. In addition Print Disabled Radio broadcast out of Levin. Today 12 Access radio stations and two Pacific radio networks broadcast programmes in more than 40 languages. 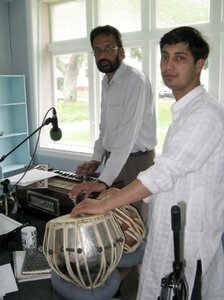 Indian musicians make music live on one of Planet FM’s 28 Indian language programmes. Access radio provides a place for information, support, entertainment and generally for communities to come together. The list is endless and is continually growing. Technology changes now mean radio is not just on the airwaves. You can listen to podcasts of your favourite shows anytime that suits. AIR - Access Internet Radio, funded by NZ On Air, is a platform through which Access stations share content. It means that an excellent programme made by a group in one part of the country can get a much larger audience by being broadcast through another station. It also means minority groups are better served with more choice of programmes. Community Access radio stations funded by NZ On Air are throughout the country. Click on the links below see what's available on your local station. NZ On Air’s funding for Pacific Radio supports music with a blend of Pacific flavours as well as informed talk in English and nine Pacific languages. These stations provide a way of keeping languages alive, and discussing topics that might not be covered from a Pacific people’s perspective in any other media. 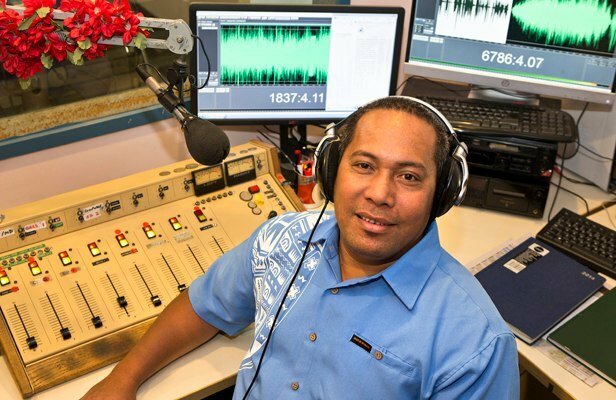 Niu FM throughout the country, 531pi in Auckland and Samoa Capital Radio in Wellington are the three Pacific radio broadcasters we fund to provide programmes specifically for the Pacific audiences in New Zealand. Since 2007 NZ On Air has been funding innovative projects for online audiences. Digital media investments are targetted at niche audiences that are not otherwise well-served by mainstream media. 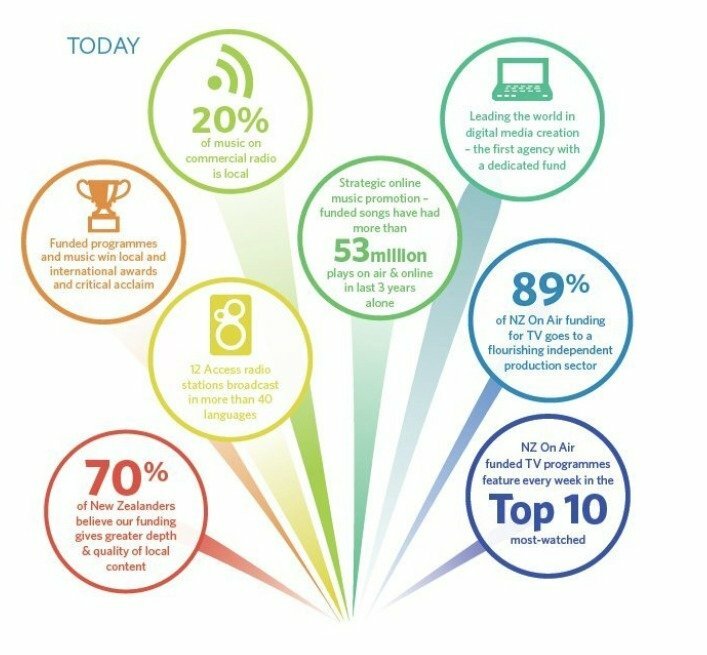 The first NZ On Air digital strategy was developed in response to a change in the Broadcasting Act allowing us to consider online and mobile initiatives. Back then it was about better access to existing content; and encouraging some experimentation with content and platforms through the creation of a special fund with relatively few boundaries. Since 2007 there have been significant changes to the digital landscape and they continue at pace. We have easier and faster access to online platforms. We can now consume media content anywhere, anytime. The roll-out of ultrafast broadband is further enhancing New Zealanders’ online access. One of our earliest successful funded projects was the 2009 online interactive drama Reservoir Hill. Produced by Wellington company KHF Media, the series allowed its young adult audience to become involved in the plot through text messaging and social media interaction. 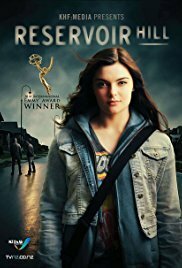 Reservoir Hill won NZ's first International Digital Emmy Award in 2010 and a Gold World Medal at the 2011 New York Festival's International Television and Film Awards. Digital media funding initiatives encourage producers to think outside the square and consider how to reach niche audiences not well-served by the mainstream. So we see projects like Sign Ninjawhich is an online game teaching young people New Zealand sign language. And HeART of Nelson - an augmented reality app that allows visitors to historical sites around Nelson to view archive photos and text on their phone or tablet, essentially bringing the museum to the streets. Our digital media fund has also provided a boost for content for Pacific audiences. In the 2012 we wanted to find and fund projects that would appeal to Pacific audiences. The first of these projects was The Factory Story - a Pacific musical drama webseries with a transmedia twist. Inspired by the popular musical stage show, The Factory Story went to the South Auckland community to find talent and stories for the webseries. We also funded TheCoconet.TV - connecting Pacific youth with their culture through music and video as well as blogs, and interactive and informative content. Children love to use modern technology - any screen, any size. So creating content they can interact with through multiple devices is a great way of getting local content in front of an increasingly fragmented audience. Our digital media fund has supported the first NZ webseries for children Nia's Extraordinary Life, which is in English and Te Reo Māori. The story follows Nia who makes her ordinary life extra ordinary with her vivid imagination. An app for pre-schoolers, Kiwi ABC provides a fun interactive way to learn the alphabet using uniquely New Zealand images and words. Two more apps, Let's Get Inventin' and Little Legends, encourage children to create and innovate. Webseries have really taken off in recent years. An early webseries we funded - the first series of Auckland Daze later became a television programme, while others such as My Story in 2007 pioneered a mobile format. Woodville, saw the funny side of small town NZ. In 2013 we created the webseries fund in response to the growing appetite for this form of short format story-telling. While many people are producing excellent webseries with no budget, or through crowd-funding, NZ On Air's contestable fund encourages more ambitious productions. See Season 2 of High Road or Season 3 of Flat3 for our latest examples.